The Kasavu Football Club of Rewa looks strong from the southern zone with most experience players in the side. The winning club from Rewa has the services of goalkeeper Epeli Loaniceva, defenders Amani Makoe, Peniame Drova, Vuniuci Tikomaimereke, midfielders Taione Kerevanua, Setareki Hughes, strikers Anish Khem and Gabrieli Matanisiga. The Lorima Dau coached side were undefeated in the pool stages with their first match against Chelsea FC of Nasinu which they won 6-0. In the second match they defeated Navuso Barbarians of Tailevu Naitasiri of Nasinu 6-1and their last match against Bureta FC of Suva ended in a 1-1 draw. Bureta FC of Suva also have the services districts reps with the likes of goalkeeper Emori Raqata, defenders Remeuru Takiata, Tomasi Uculoa, Ivan Kumar,Antonio Tuivuna, midfielders Shahil Dave, Mathias Iani, Bruce Hughes, Fred Osifelo and strikes Napolioni Qasevakatini and David Matavesi. They are also undefeated in the competition with a 3-0 win against Navuso Barbarians and 0-0 draw against Chelsea FC of Nasinu and 1all draw against Kasavu FC of Rewa. Kasavu topped Pool A with seven points while Bureta qualified as runner up with five points. From Pool B, Nasinu’s Friends United FC played well in the pool stages with the services of players like goalkeeper Azmat Begg, defenders Savinesh Mudaliar, Nitan Kumar, Sandeep Nair, midfielders Sedrick Dutt, Nathan Kumar, Dinesh Mudaliar, Maciu Tuilau, and strikers Joseph Mishra and Nasoni Mereke. The Tama Vosuga coached side finished top in the pool with seven points after walloping Nakasi Lionz of Rewa 7-0 in their opening match and thrashed Combine Brother of Suva 5-0. In their last match they were held 1-1 against Buiduna FC of Tailevu Naitasiri. Combine Brother FC of Suva which came as underdogs in the competition only had Laisenia Raura in their side but managed to book a spot in the finals with a win against Buiduna FC and 7-1 win against Nakasi Lionz of Rewa. 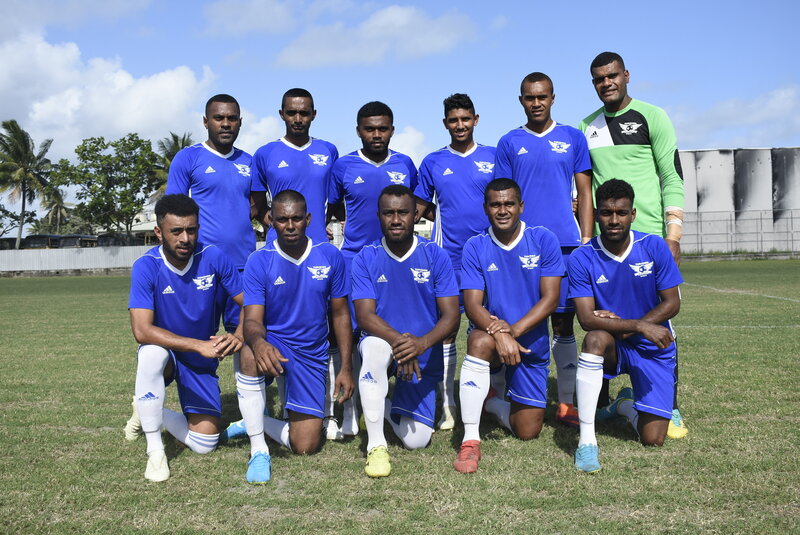 The final plays –off will be played this weekend at Fiji FA Headquarters in Vatuwaqa.